This image is of the Coroniceras rotifome ammonite fossil. It was found on the Somerset coast of Dorset England. Creature is from the Lower Jurassic Period. 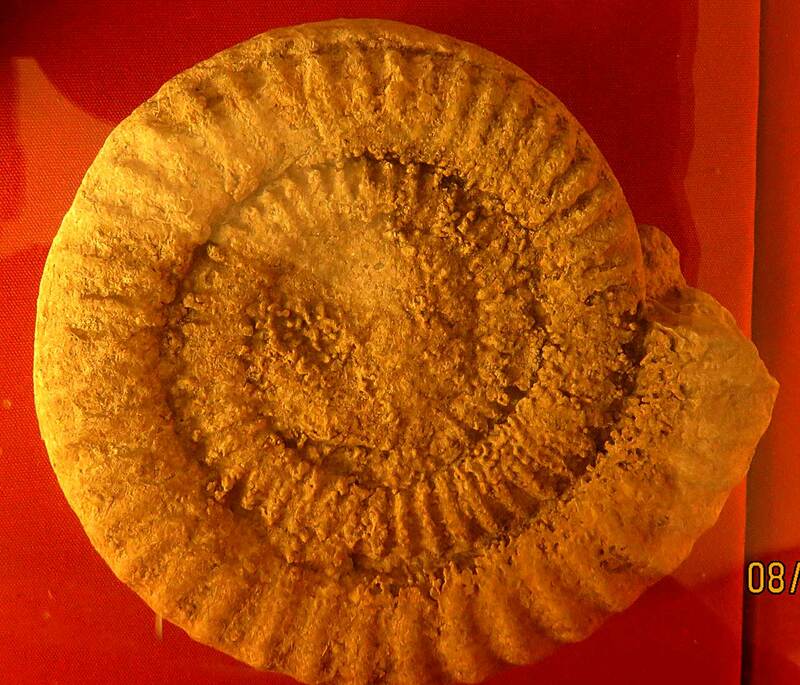 Fossil on display at the Lyme Regis Museum in England as of August 2016.